Im so happy that Susan has decided to take a stand! 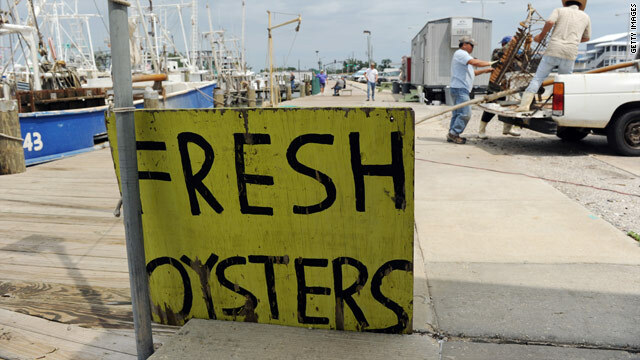 We New Orleanians live on our seafood and so do the resturant owners! Excatly what are they trying to do to us! Some one had to take the next step and we back her up 100% We are local boutique owners right next to Mondo, and standing strong togehter we will do! Thank you Mr. Anderson! I am happy she is sueing. I am a N.O. native and I have eaten those Bayona black bean cakes. And alot of other fantastic food from crabs to shrimp to crawfish to oysters. Even if the crude is cleaned, can we really eat millions of gallons of disbursements? our Gulf is RUINED. And if not BP, some other oil company. This is all so unacceptable and so sad. This is a great portion of our food supply. Now we can eat more "sea"food from China, laced with illegal antibiotics and dirty as anything. No thanks. Beef it is for now until we find out that organic beef really isn't. Pesticides, hormones, antibiotics, crude oil, disbersements, GMO food items, crap from a box. Seriously, what are we doing to our food and water supplies? This is catching up with us fast and hard. Thank you Anderson for this post. You go Susan Spicer! We support you!